The bittersweet circumstances surrounding St. Joseph's triumphant splash in last month's New York State Indoor Championships, while heartbreaking, served to strengthen the foundation of the fledgling program. 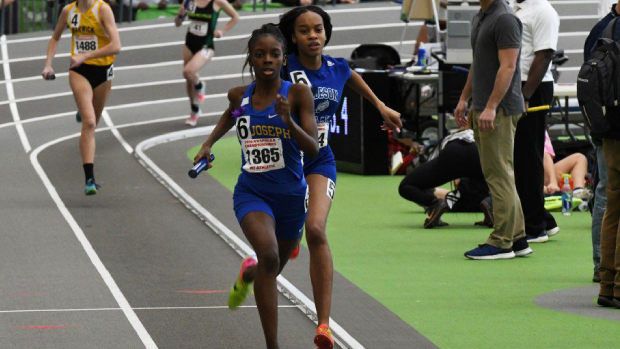 The small, all-girls parochial school - it has just over 200 students - made headlines on March 2 at Ocean Breeze when it captured a state title in the 4X400 relay (3:57.94). That St. Joe's was able to earn such an impressive victory was noteworthy when considering the school's track team has only 15 members while the program is just two years old. That the Lady Cougars won days after one of their biggest supporters passed away made what they accomplished that much more special, not just for them but for the entire school. Caroline Latham (left), who was the principal at St. Joe's, died suddenly from a brain aneurysm on Feb. 26. 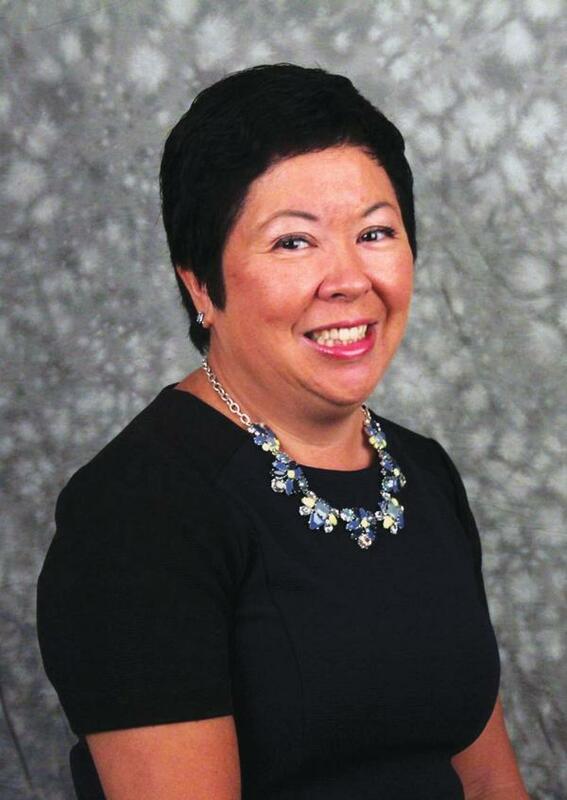 She was a big advocate of the school's athletic program, particularly the track team, and her death sent shockwaves throughout the entire St. Joe's community. "She was, not to seem corny, really an angel," said sophomore Jourdan Garnett, who ran the second leg of the winning 4X4 team. "She brought up the positive energy of the team and made us seem like we could do anything. Her passing was a loss to us. She just filled a void for us that we had or didn't even know we had." "Honestly, I didn't expect it [winning]. I had my doubts. These girls [we were running against] are fast and I didn't know if we could do it. It was shocking but we keep getting better and better. We made it to the states and we won the states. We were in disbelief. And to see the parents and the coaches so emotionally involved made us emotional as well." The quartet of girls - Kadija Soumaoro, Roche McCammon, Alanni Cannon and Garnett - posted the top preliminary time [3:57.95] - they were only one of two teams to break 4:00 in the prelims - and then bettered that by .01 in winning the title. The victory not only gave the novice program some credibility, it set the expectations higher for the spring season. "I was definitely surprised about the 4X4," said St. Joe's coach Akil St. Louis, who teaches STEAM [science, technology, engineering, math] at the school. "But we had a game plan going in and we're happy that it worked out. For the girls to run 3:57.95 and then run the second heat run .01 faster was amazing. All the things leading up to it were amazing to see. I knew the girls were capable of it once they put their hearts and minds to it. "They went there [States] with heavy hearts and wanted to do it for their principal. They had a unique relationship with her. She would talk to them and counsel them. The girls went to the funeral on Friday and won on Saturday. It was definitely a shining moment for them." St. Louis, who ran at Long Island University and had coaching stops at the now closed Bishop Ford High School in Brooklyn and Curtis High School on Staten Island before landing at St. Joe's, is confident there will be more shining moments in the weeks to come. He's put in a great deal of work to build up a program that didn't exist prior to the 2017 indoor season, drawing on his own experiences as a runner while seeking out advice from veteran coaches against whom St. Joe's runs. It hasn't always been easy because St. Joe's does not have a track. They trained for cross country at Fort Greene Park in Brooklyn and have also used Cadman Plaza and Prospect Park. They train for the indoor season at the Park Slope YMCA while using a track in Williamsburg for the spring season. That track is about 25 minutes from school so it makes for a long day, not only for the girls but also for St. Louis. "It's a tough commute to get to all these different destinations," St. Louis said. "We get out at 2:54 and typically what we do is tutor for 40 minutes before heading out. Then you head home afterwards [to all parts of Brooklyn]. It's a lot of responsibility for kids to micromanage being a student first and then an athlete." St. Louis said that when he spoke to Latham in 2016 he told her he wanted to be successful as a program in two years. It would seem that they are well on their way to achieving that goal. Now, he's getting the team in as many meets as possible, watching them learn and grow with experience. 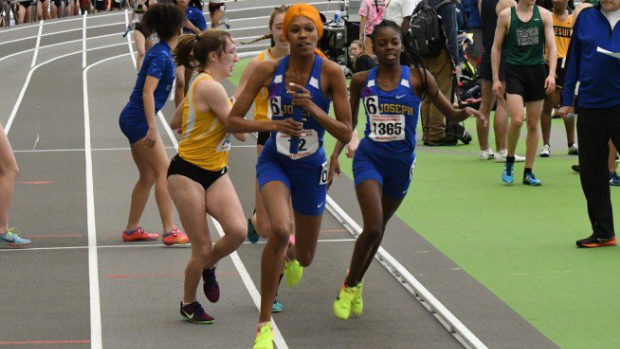 One of St. Louis' goal is to have program similar to that of The Ursuline School, a Westchester-based powerhouse that has long been dominant on the high school girls track circuit in New York State. That may take some time but the Lady Cougars have a young squad and their victory in the States should go a long way toward bringing in more students interested in running. In the meantime, the current crop of runners seems headed for a big spring under St. Louis. "He's done a lot for us," Garnett said. "He's pushed us. St. Joe's was not my first choice [of high schools]. I came here on a buddy day and when I finally got a meeting with the coach he made it [the school] seem better. He really believed in the program he was starting. He made more and more girls join the team and it's been amazing."